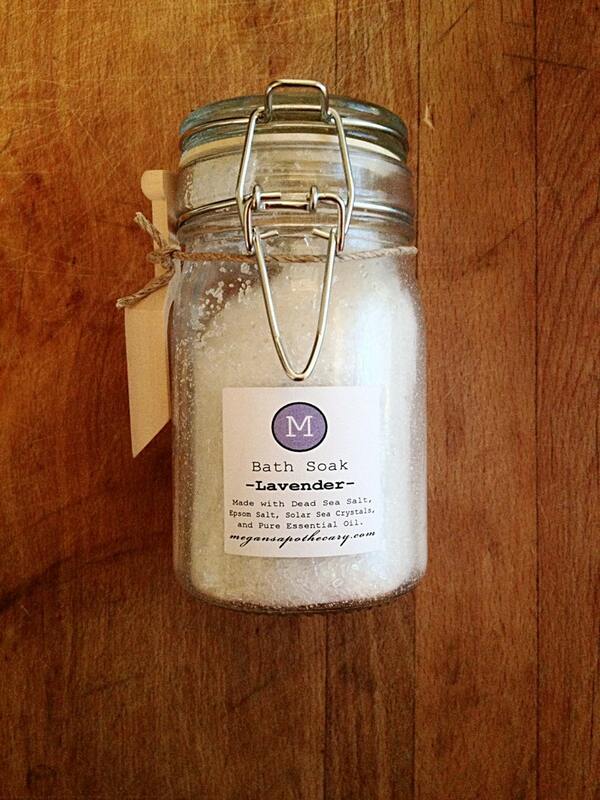 All Natural Lavender Bath Soak (approx 4 oz. which equals 2-4 baths) in glass jar with wooden scoop. Salts are a blend of dead sea salt and epsom salt with pure Therapeutic Grade Lavender Essential Oil for deep relaxation. This makes the perfect gift for the high stress person in your life who needs to relax! Each jar is custom blended by hand by Megan's Apothecary.